Sleep 2 - 14 people in your choice of several different cabins. 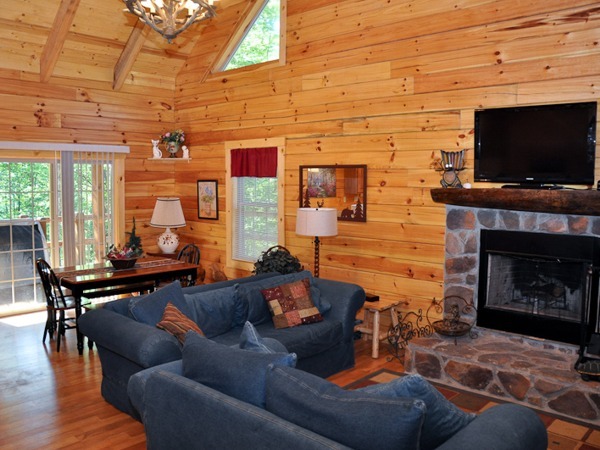 Clear Creek Ridge Cabins features spacious log cabins located in the heart of the Hocking Hills. Experience the rugged beauty this region has to offer, while enjoying the comfort and conveniences of home. Whether it's a group of friends, or the whole family, we have a cabin for you! Our cabins are very secluded, yet located close to the leading attractions. 3 private acres overlooking a scenic wooded raven. Accomadates up to 4 guest. Hot tub on back deck facing out into the wooded raven. Studio style cabin accommodating up to 4 guests. Located on private wooded acerage. Side covered porch overlooking scenic wooded ravine with hot tub.